Welcome to ExamNotes by CertBlaster! In this section we will look at CompTIA’s 220-902 sub-objective 2.6. We will cover Mobile devices and how they connect to networks. What you can do and how you can do it. Here we will look at wireless data device configuration and usage starting with an anonymous mobile device and service provider. The mobile service plan has unlimited 4G LTE service on calls and data. The unlimited factor is a consideration when we talk about sharing your service. In the majority of cases the term hotspot refers to an area where you can wirelessly connect to the internet and other application layer services such as email and messaging. This would, of course, include social media. Many businesses, including prominent coffee houses, offer this service as a way to encourage patrons to extend their stay at the location providing additional sales opportunities that a grab and go patron would not be exposed to. Having a delicate icing drizzled pastry in your field of vision will have an effect on you, it won’t be long before you’re back at the counter either for a refill or that turnover! Hotspots, right. Your own wireless device can in all likelihood be turned into a hotspot depending on the device’s capabilities. You can have a completely supported wireless business meeting with a small group at a park or a lake anywhere but that conference room. Importantly in most cases the device sharing the hotspot will have its internet capability disabled. Band width will not reflect the full capacity of the host and battery life will be impacted. This technique allows you to connect your cellphone to a laptop or tablet through USB or Bluetooth enabling devices using the phone’s cellular connection to provide mobile connectivity to another device. This connection is a one to one connection share. Good for essential connectivity this connection type offers limited bandwidth and if used over a Bluetooth connection your battery will take a big hit. That little airplane icon on your smartphone is the first thing to check if you suffer loss of connectivity. The first icon shown indicates that the devices radios are capable of communication. The initial proliferation of cellular and Wi-Fi capable devices prompted a concern among airlines that the devices could interfere with the safe operation of the systems on an aircraft. Users were instructed to turn the devices off. Boring! Device manufacturers quickly came up with a quick way to disable the offending radios called Airplane mode. Pressing the airplane icon switches off all the external communication methods of the device and displays the airplane with a strike through. Bluetooth has been around for some time, but never really realized its potential until mobile devices began using it to establish short range communication between peripherals and other devices. The most significant and potentially lifesaving application of the technology came when Bluetooth was combined with hands free headsets that would enable conversations without the user having to actually hold the phone. This made driving while talking much safer, not completely statistically speaking, but much safer. This was enhanced when auto makers incorporated Bluetooth into the automobile’s features allowing users to make calls without even looking at the phone. The technology is available in many devices including quality headphones to wirelessly enjoy your music without getting strangled and keyboards that lessen the challenge of typing, even some heart monitors. Two devices that are capable of communication are called paired. Up to 7 additional devices can connect using a master/slave relationship in a small network called a PAN (Personal Area Network) also referred to as a piconet. 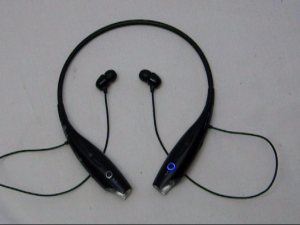 Here is how a one to one connection works in a nutshell and an example of a Bluetooth headset waiting to pair. The blue light on the left hand button will light when paired. For starters both devices must be capable and have Bluetooth enabled when initiated. The device will actively search for devices to pair with in most cases. The devices must be set (initially) to discover nearby Bluetooth devices. In essence one device must be discoverable for the other to discover it. Most devices enter this mode for 15 to 30 seconds when powered up. If the devices are set to automatically pair, you’re connected with a couple of mindless clicks. One of the devices will initiate the paging process that will locate device(s) establish the parameters of the connection. Let’s just say that automatically pairing is not the best practice as it leaves you more susceptible to Bluetooth attacks like Bluesnarfing and Bluejacking (covered later). Consider the environment you expect to be in and estimate a 10 meter range around yourself. 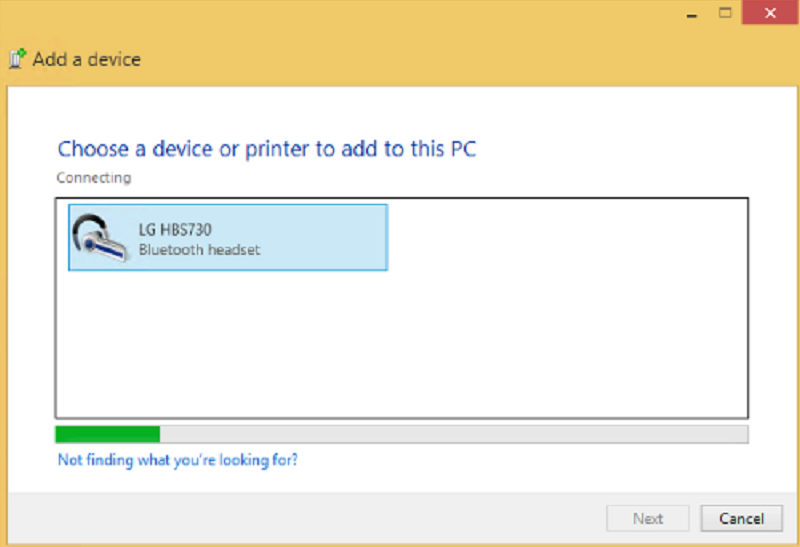 Here is a Headset pairing to a PC in three steps. One way to protect your device from unauthorized access is the use of a passcode or PIN. Many devices require this for the connection to happen. Your hands free car setup generally requires this as do most keyboards and other command and control peripherals. 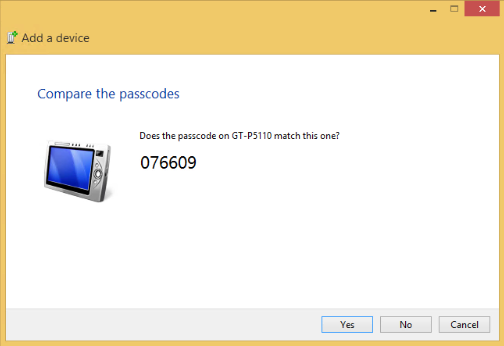 The problem with this is that the passcodes are so simple that they are practically guaranteed to be cracked. For example you will encounter default codes like 0000, 1111 or the most secure 1234. Most users don’t even think of changing it. Here’s a Tablet that has a decent pin. A bit tougher, but still if I roll the dice and say Yes, I’m in. Testing the connection could be as simple as trying the device, but there is, depending on your software, in app connection testing available. In app you can see things like connection speed signal strength and especially if you’re connected at all. Generally found under Settings/ Bluetooth and on from there. 3rd party programs are also available. There is no shortage of email service providers. You’ll probably have multiple accounts. The first most likely will be provided by your ISP. Then your employer will generally assign you one. It goes on from there one to get the full features of your OS (iOS or Windows).Then of course if you need apps for your smartphone or tablet that are not provided by your OS developer, there will be another account. Only advice here is to not use the same password for all of the accounts. One compromised email password could expose all accounts. Receiving email is done over different protocols. There are two main protocols available depending on your service. The first is Post Office Protocol (POP) with the latest version being POP3. This protocol is responsible for the management of messages on the server saving them or deleting. Deleting the message after delivery is the default mode. Leaving messages on the server is useful if you use multiple devices for messaging. Today’s email user is probably using it on a collection of possible devices as opposed to the traditional PC. They have any or all of the possible devices, Tablets Smartphones Laptops, all internet connected and waiting for email. Now if your smartphone downloads and deletes a work related email (POP3 default) you have a problem when you when you check email on your PC or laptop because it’s gone. The Internet Message Access Protocol (IMAP) on TCP port 143 solves this problem by leaving the messages on the server regardless of the delivery status. Every device that checks will get the email. This is great unless you get spammed a lot. Consider that it’s possible that 18 out of 20 of your emails are junk. Your server space will fill up quite quickly. This calls for closer scrutiny of the undeleted messages on your server. You have to move them to the trash folder and purge it, or configure the client to purge trash. Despite this IMAP is the preferred client messaging protocol. The Simple Mail Transport Protocol (SMTP) uses TCP port 25 for internet mail transmission. It is an internet standard protocol. Due to the proliferation of SPAM and other email related vulnerabilities other ports can be used, most notably port 587. A secure nonstandard implementation of this protocol is SMTPS which in not standard but quite effective because it is one of the protocols that can utilize SSL (Secure Sockets Layer) SMTP is responsible for the transmission of email between servers and for sending email from a client. Other protocols are used for the reception of email on the client. Using S/MIME in Exchange provides encrypted authentication, message integrity, digital signatures and overall message security. It can be enabled in Outlook under Tools then Trust Center. Then E-mail Security. The server will require it and without server support it will not work. 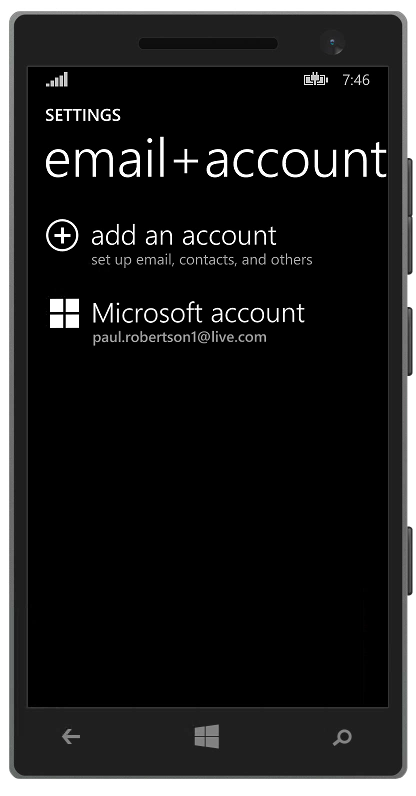 Here is a good example of the email configuration available on a Windows phone. You click Add An Account and follow the steps to configure your account(s). As you can see here the user’s default email was created when he signed on to the device the first time. Google provides email under the gmail.com domain. If you use the chrome browser you can access Gmail from your Start page or simply entering gmail.com in your address bar. You will be prompted to sign in or create an account depending on the case. 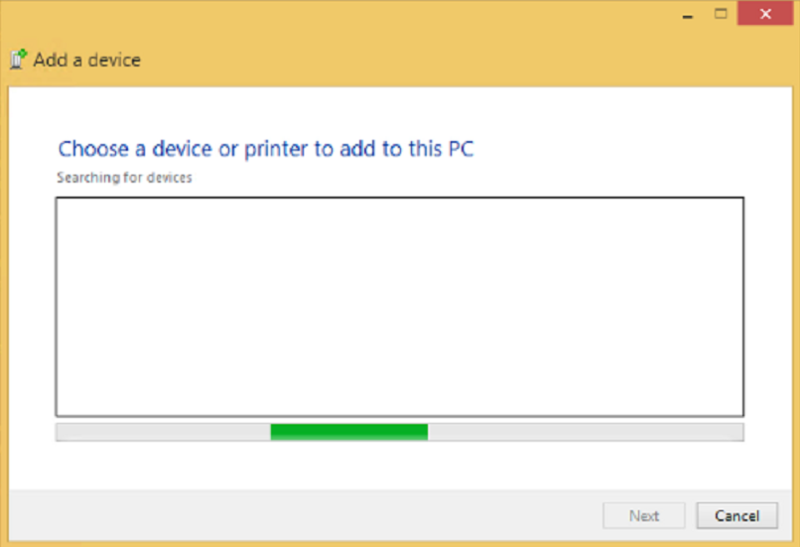 The program only needs to be installed if you plan to use it offline. By default Gmail will synchronize your last 7 days of emails by default when installed. Yahoo is available as an app or it can be purely browser based. You create an account at Yahoo.com, click mail while online and off you go. Follow the setup wizard to install the app, if desired. Formerly Hotmail.com, Outlook.com is an app based email program that is capable of deploying 3rd party apps. This is useful if you frequently require them. The installation is simple and guided by a wizard. More than email iCloud can be used to back up and store your data. If you have an AppleID possibly from using a portable music player that ID is your key to login to iCloud.com. Otherwise you can create one and follow the steps in the wizard to get set up. You can select and synchronize objects at will on a schedule. The PRI (Product Release Instructions) is a document or webpage that provides the description and process for the software update process. It defines new or changed feature descriptions and how to implement the update. Always read this document to be sure the update doesn’t suddenly need access to your contacts or camera. This documentation is also helpful if an update has undesired side effects. You can review it for the possible cause. The PRL is a database file stored in your cellular device. Called the Preferred Roaming List this file stores the devices performance carrier preferences regarding connection frequencies and settings to be used on a connection. Radio firmware controls the parameters of your cellular and or Wi-Fi signal. 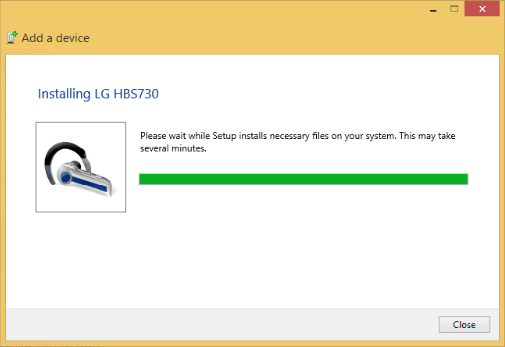 When problems exist with the device connections a firmware upgrade often resolves the issue. The caution here is to be careful, ensure that there is uninterrupted power throughout the process and that you don’t interfere in any way. Treat the radio firmware the same way you would a PC’s CMOS ROM. Any problem during the update could render the device useless (brick).Be careful. Yes more acronyms. These are relatively simple. You know that each device on a network must have a unique identifier. Equally in the interconnected environment today each mobile device like phones or tablets on the planet has to have a unique hardware identifier. This is known as the IMEI (International Mobile Equipment Identifier) and is a number that will be unique worldwide assigned by the manufacturer. The IMSI (International Mobile Subscriber Identifier) operates under the same principle of uniqueness but is assigned to the user or cellular subscriber. This number will be assigned by your service provider and stored on your devices SIM card making it portable. This means if you upgrade your equipment to a device that uses a compatible SIM card your IMEI will change and your IMSI won’t. So simply put the IMEI is the phone and the IMSI is you. VPVs (Virtual Private Network) are useful in the mobile environment. They provide highly secure connections from unlikely locations, anywhere with cellular service. By providing a secure tunnel for your connection its integrity and security are assured. …and that’s all for A+ 902 exam objective 2.6!